Whether your vehicle is not starting, has an intermittent problem or a warning engine light has come on, we can help. 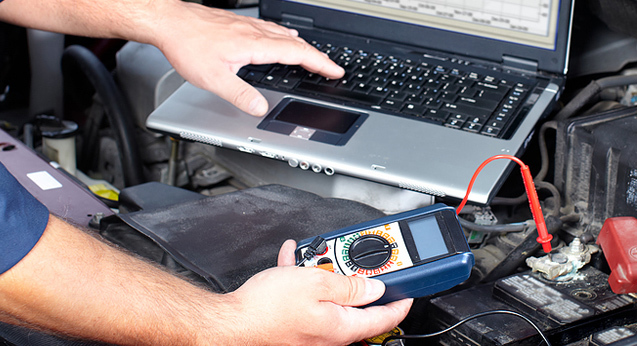 Our technicians can check your entire engine management system using a Scan Tool loaded with data on the latest models to read fault codes and live data. All components can be checked such as ECU, Crank Angle Sensor, Cam Angle Sensor, Throttle Position Sensor, Air Flow Meter, Oxygen Sensor, Coil Pack, Ignition Module, BCM Module, DFI Module, Air Temperature Sensor, Coolant Temperature Sensor, and Injectors. For more information on ECU Repairs or to find out if we can repair your unit, contact us today.